Beatrice’s accomplishments are a testament to her deep and active interest in the workings of society, which flourished through her early years. Beatrice received no formal education yet her father was keen for his daughters to read widely and travel with him, which Beatrice did, alongside taking over the management of the household following her mother’s death in 1882. Beatrice began working in social investigation in 1883, firstly for the Charity Organisation Society, and in 1886 was one of a team of researchers for Charles Booth’s famous Survey of London. Beatrice met Sidney Webb in 1890 through the Fabian Society, and their courtship was conducted amidst her attendance at cooperative conferences and research into trade unions in Liverpool and Manchester. They married in 1892, spending a honeymoon researching Irish trade union records. Their 51 years of marriage included many joint ventures, including the creation of LSE. At LSE, Beatrice is largely known as one of our four co-founders (alongside her husband Sidney, Graham Wallas and George Bernard Shaw). In Beatrice Webb’s diary, held at LSE Digital Library, the events of 1877-1943 are seen through her eyes. She succinctly records the founding vision of the School, largely led by Sidney. His vision is to found, slowly and quietly, a “London School of Economics and Political Science” – a centre not only of lectures on special subjects, but an association of students who would be directed and supported in doing original work. The weekly class brings us into close connection with the work of the School: I see some half dozen students every week and talk over their work with them. Outside LSE, Beatrice was equally active. In the early 1900s, Beatrice produced a Minority Report that was published alongside the Poor Law Commission of 1905-9. It emerged from a disagreement with the coordinator of the Commission on both the facts of and the solution to poverty. Beatrice’s Minority Report details the need for a coordinated national and local provision of welfare, taking in Education, healthcare, pensions and work. A young William Beveridge was a researcher on the report, which began his life-long association with the Webbs’. He famously produced his own report along similar lines in 1942, a year before Beatrice’s death. 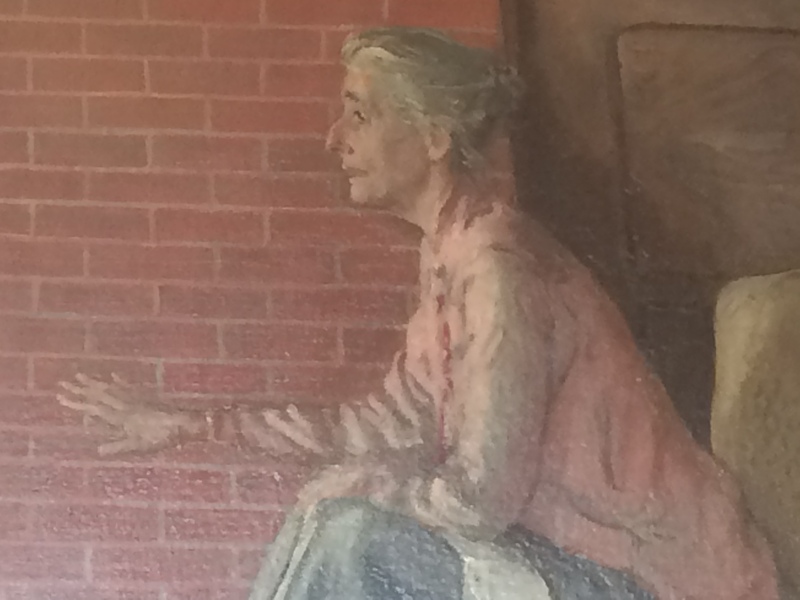 A portrait of the Webbs now hangs in LSE’s Shaw Library. It was unveiled in 1929 to mark Beatrice’s and Sidney’s 70th birthdays, and shows them in their home Passfield Corner surrounded by proofs of their latest book on the history of local government.